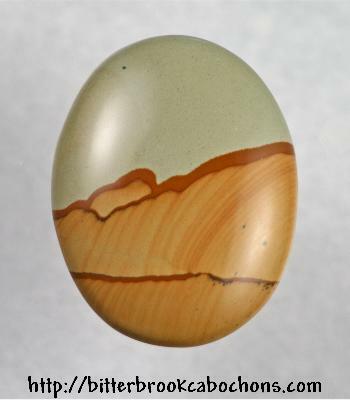 This Picture Jasper cabochon has windswept sand dunes and nice color. 40mm x 31mm x 6mm. Weight: 50.75 carats.